Already a significant cable broadband access network owner in Europe, Vodafone has struck an €18.4 billion (US$21.8 billion) deal to acquire Liberty Global's cable operations in Germany, the Czech Republic, Hungary and Romania in a move to create one of Europe's biggest integrated fixed/mobile service providers. The agreement with Liberty Global Inc. (Nasdaq: LBTY), one of Europe's biggest operators of cable networks, is the latest cable broadband M&A move by Vodafone, which has acquired cable assets in Spain (ONO) and Germany (Kabel Deutschland) during the past five years. It will leave Vodafone Group plc (NYSE: VOD) with around 54 million cable or fiber customers and a next-generation network reach of about 110 million homes and businesses, the operator noted in a presentation to investors and analysts early Wednesday. The transaction would make Vodafone the chief rival in Germany to incumbent national operator Deutsche Telekom AG (NYSE: DT), which currently markets broadband services to around 30 million homes. Unitymedia, Liberty's German subsidiary, would be added to the Kabel Deutschland business that Vodafone acquired in a €7.7 billion ($9.1 billion) deal in 2013, allowing Vodafone to market next-generation broadband services to nearly 24 million homes across the key European market. 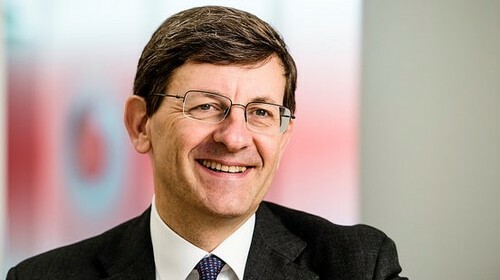 Vodafone's CEO Vittorio Colao sees value in building an even greater cable broadband empire across Europe. Under previously announced plans to extend "gigabit" network offerings to around 1 million German homes, Vodafone is pushing for a gigabit coverage target of 25 million homes by 2022. "This represents more than two thirds of the German government's 2020 fiber vision for gigabit connectivity across the country," said Vittorio Colao, Vodafone's CEO, during the presentation. For the full story and financial details, see the following story on our sister site, Light Reading: Vodafone Pounces on Liberty Cable Assets in €18.4B Deal. UK operator aims to cover more than 5.5 million premises with Gfast by the end of 2020, down from an original commitment of 10 million. Happy with 5G fixed wireless broadband trials in Transylvania, Orange is now trying to figure out if there is a business case for an investment. UK operator says an improved relationship with regulatory authorities bodes well for its ambition of extending all-fiber networks across the country. A private equity takeover of the UK fiber operator could help it to realize its FTTH plans and maintain pressure on UK broadband incumbents.